On the island of Lefkada various religious feasts and cultural events are held throughout the year, but reach their peak during the summer months with the International Folklore Festival. The Festival is part of the events for literature and arts that are organised every year since the 1950s. A lot of famous and well-respected artists and scientists visit Lefkada to join the conferences and the celebrations. Maria Kallas gave her last performance for the Greek audience as part of these events in 1964. 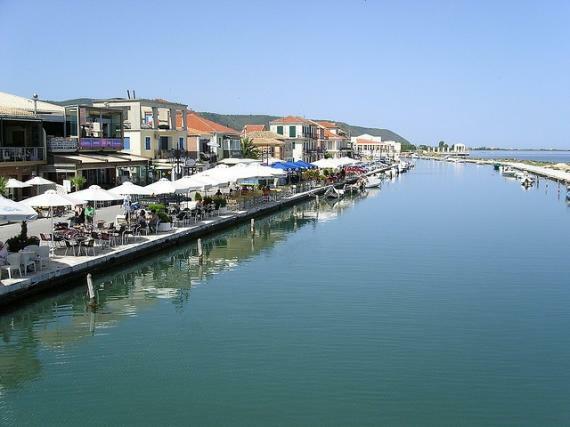 Lefkada was the first place in Greece to start this tradition of events for literature and arts which has eventually been embraced by many municipalities around the country. In no other place in Greece though, it is organised an International Folklore Festival like the one in Lefkada. People from all over the world have set the island as their annual meeting point in order to present their customs and traditions in this amazing feast dedicated to cultural diversity and peace among different nations. During the Festival the Town of Lefkada looks like a big parade, with folklore dancers dancing cheerfully, dressed in their traditional costumes, holding their flags and singing traditional songs. On the first Sunday of the festival , the big parade takes place in the streets of the town and ends at the beach, where dancers from different countries dance all together the dance of peace. If you can arrange holidays in August, don’t miss this lifetime experience and do join the International Folklore festival! It is a great opportunity to meet people with different customs and learn things about neighbouring (or not) countries. Other cultural events that take place on the island are the traditional wedding and the Valaoritia Festival. The first one, as the name implies, is a revival of a traditional wedding. It takes place in Karia and shows the way weddings used to be in Lefkada in the past. The second one is a festival dedicated to the memory of the poet Aristotelis Valaoritis and his significant work. Apart from the cultural festivals, religious feasts are organised in villages around the island. This is common to most of the Greek islands and the villages of the mainland. Almost everywhere in the country, 15th August is a big celebration and so it is on Lefkada too. The feast takes place in the Convent of Faneromeni in Frini because the convent is dedicated to the Virgin Mary whose Dormition is celebrated on this day.